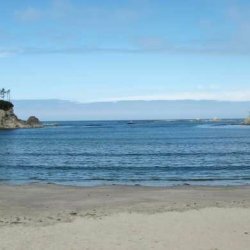 Situated in one of the most scenic areas on the Oregon coast, Sunset Bay State Park features beautiful sandy beaches protected by towering sea cliffs. Only a short walk from the beach, the campground has sites for tent camping and RV's, as well as cozy and comfortable yurts. 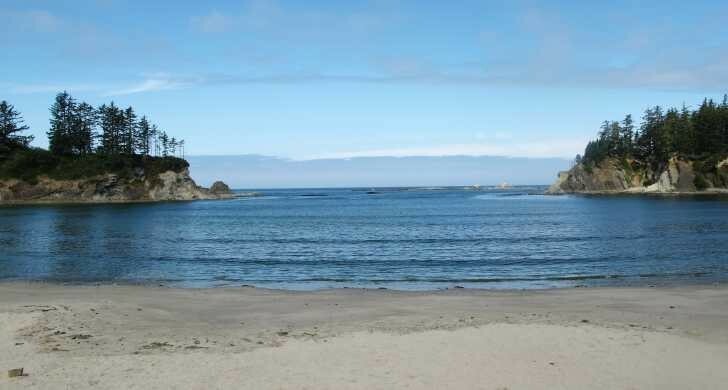 Day-use and picnic facilities are located along the bay to allow easy access for beachcombing, fishing, swimming, and boating.A network of hiking trails connects Sunset Bay with nearby Shore Acres and Cape Arago State Parks. Hiking these trails will give you a chance to experience pristine coastal forests, seasonal wildflowers and spectacular ocean vistas from atop the rugged cliffs and headlands. From points along the trail, you'll be treated to views of Gregory Point and the Cape Arago lighthouse. A public golf course is located next to the park and the nearby fishing village of Charleston provides opportunities for crabbing, clamming and fishing. In fact, there are plenty of secret treasures in the Sunset Bay area. 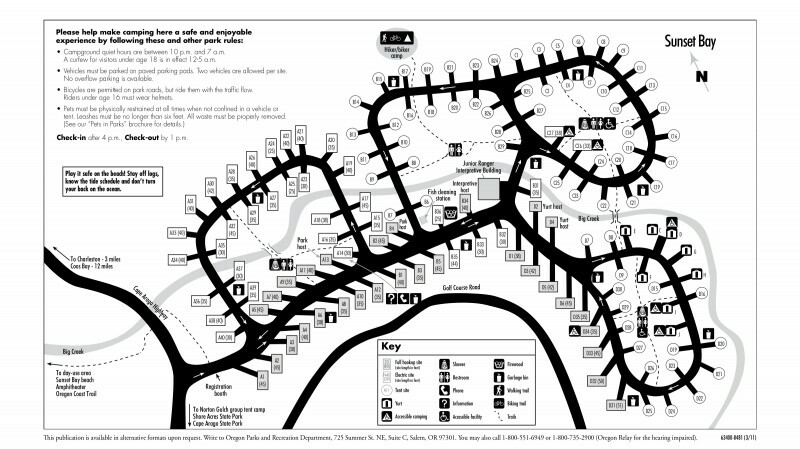 Three campsites and three yurts are accessible to campers with disabilities.